We win five-star praise for our L.B. Evans Edmonton slipper for men year after year from delighted customers. The genuine chestnut suede upper and collar on these L.B. Evans Edmonton-style scuffs give them a handsome look inside and outside the home. Our L.B. 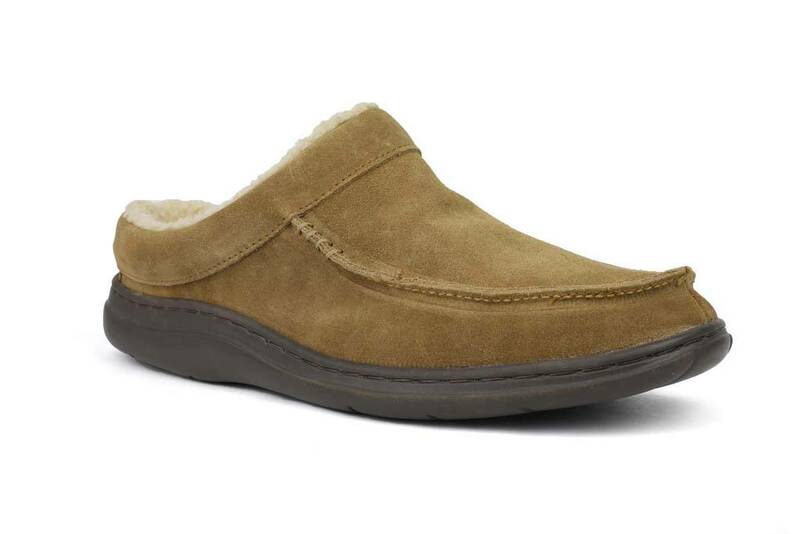 Evans Edmonton men’s slippers have a warm Sherpa lining for superior comfort, and we’ve added soft, padded insoles for lasting cushion and additional support. L.B. 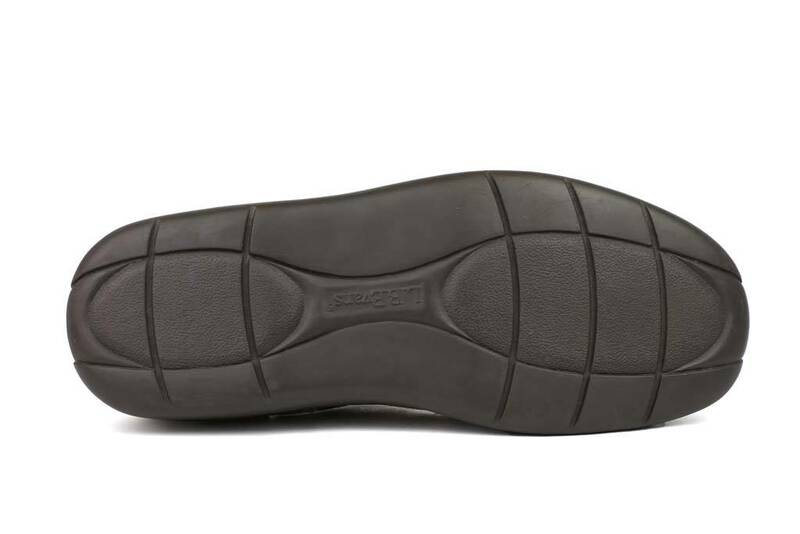 Evans has been the premium brand in men’s footwear since 1804. We’ve got a strong tradition of superior workmanship, and we’ve been attracting generations of satisfied customers for years. 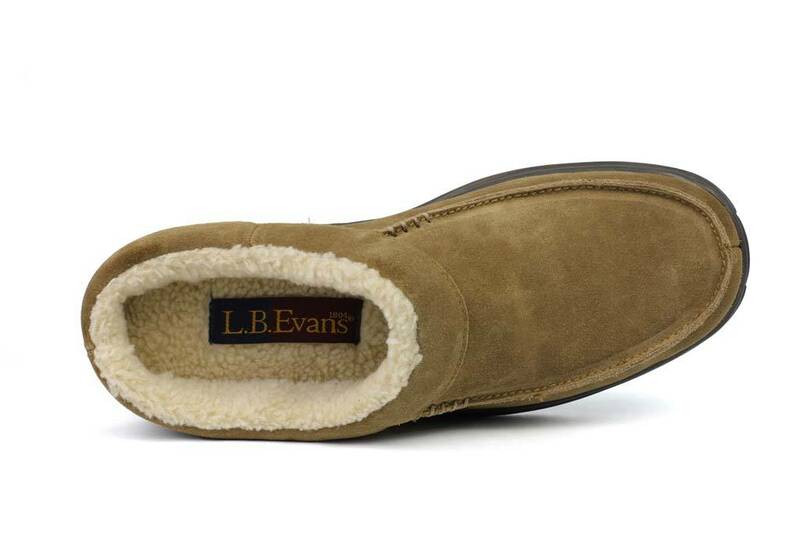 Our remarkably affordable L. B. Evans Edmonton-style slippers come in a variety of sizes. 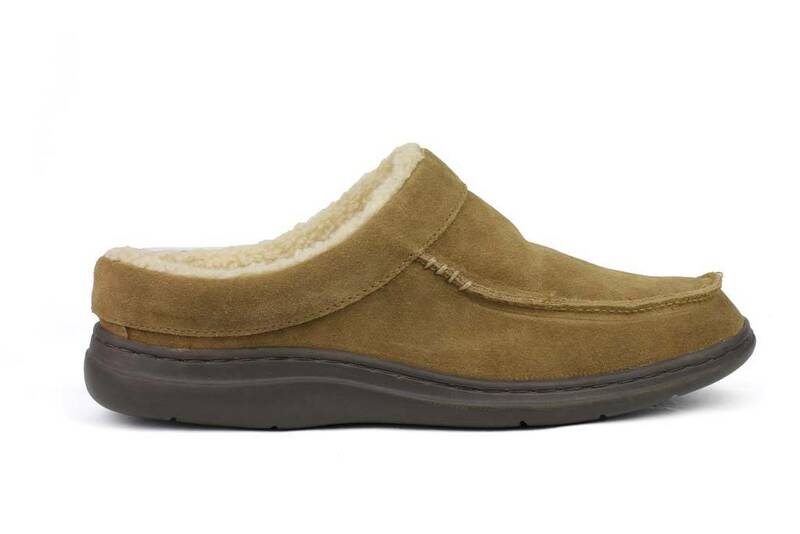 The perfect pair for your next slipper!